福建31选7今日开奖结果:Goose the Cat to Return in Avengers: Endgame? 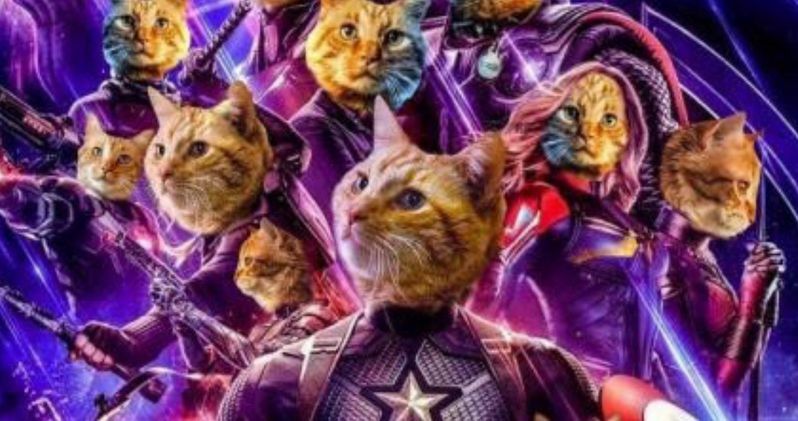 A new Avengers: Endgame magazine cover insinuates that Goose the Cat from Captain Marvel will be in the highly anticipated movie. Goose is currently stealing some thunder from Brie Larson's Carol Danvers on the big screen and it looks like he may have a repeat performance in Endgame. Earth's Mightiest Heroes need all the help they can get and Goose would be a worthy addition to the team. There are some Captain Marvel SPOILERS below, so don't read any further if you haven't had a chance to go see the movie. Empire Magazine's two latest covers are dedicated to Avengers: Endgame. Thanos is shown in his full armor with a gleaming Infinity Gauntlet on one cover and the original Avengers are spotted on the other. Both covers are great, but upon closer inspection, the Mad Titan cover is clearly the winner for reasons that one wouldn't immediately notice. When looking at the barcode of the magazine, one can easily see that it is shaped like a cat. Could this be Goose? It makes perfect sense, especially considering that the Flerken is currently all the rage, thanks to Captain Marvel. The Skrulls were definitely afraid of the Flerken in the Carol Danvers standalone movie, and for good reason. Goose has some pretty incredible alien powers and one could easily see Thanos cowering in fear over the sight of him. Earth cats typically only live to be around 16-years old, which means that Goose would normally be dust by now, but the Flerken lifespan is more than likely a lot longer, which would give Goose an interesting part in Avengers: Endgame. With both Captain Marvel and Goose the Cat, the Avengers are seemingly unstoppable. However, Avengers: Endgame isn't going to start with Carol Danvers and the Flerken saving the day real quick. There will be some other problems that will pop up, but Goose could be the one to take down Thanos, which would be pretty hilarious. Marvel Cinematic Universe fans have been worshipping Iron Man and Captain America, but a cat could be the one to save the day, rendering the other heroes useless. It's even possible that Goose gave Thanos that scar on his face in a previous encounter. We last saw Goose in Nick Fury's office at the conclusion of Captain America when he barfs up the Tesseract. As far as we know, this is the last place that the mysterious Flerken was spotted. However, Carol Danvers may have brought her sidekick into space to help with some intergalactic battles and probably brought him back to Earth when she received Fury's page. Fury and Goose have a very special relationship and the Flerken pretty much owes Fury a solid favor, so seeing Goose show up in Avengers: Endgame seems like a safe bet at this time. You can check out the latest cover featuring the Mad Titan and the feline barcode below, thanks to the Empire Magazine Twitter account.